Adult Coloring Book & 24 Colored Pencils Only $10.99! You are here: Home / Great Deals / Christmas Deals / Adult Coloring Book & 24 Colored Pencils Only $10.99! Need some stress relief? Order a Adult Coloring Book & 24 Colored Pencils Only $10.99! Some seasonal pictures, some abstract, some nature, this book has designs that will make every budding artist happy! 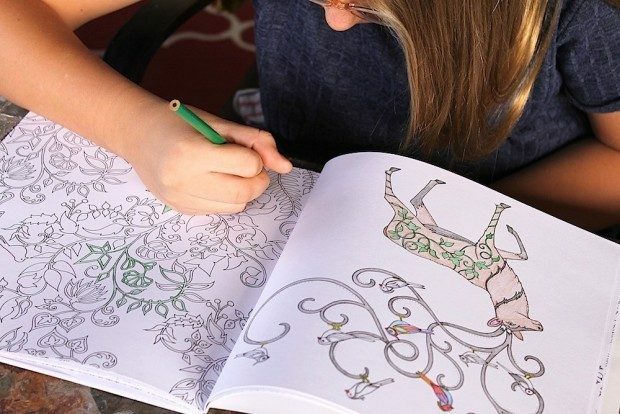 Coloring is the best way to de-stress and great for the brain. Though the pictures are more detailed, your teenagers and young ones will enjoy the challenge of detail while coloring too. Great for young and old! Click here to check out more Great Deals!